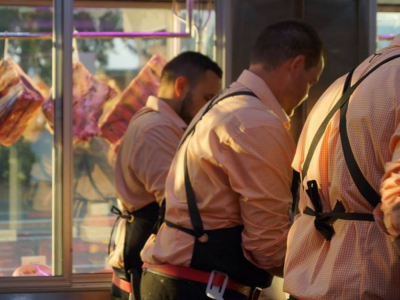 Meat at Billy’s is a very fashion forward boutique butcher. 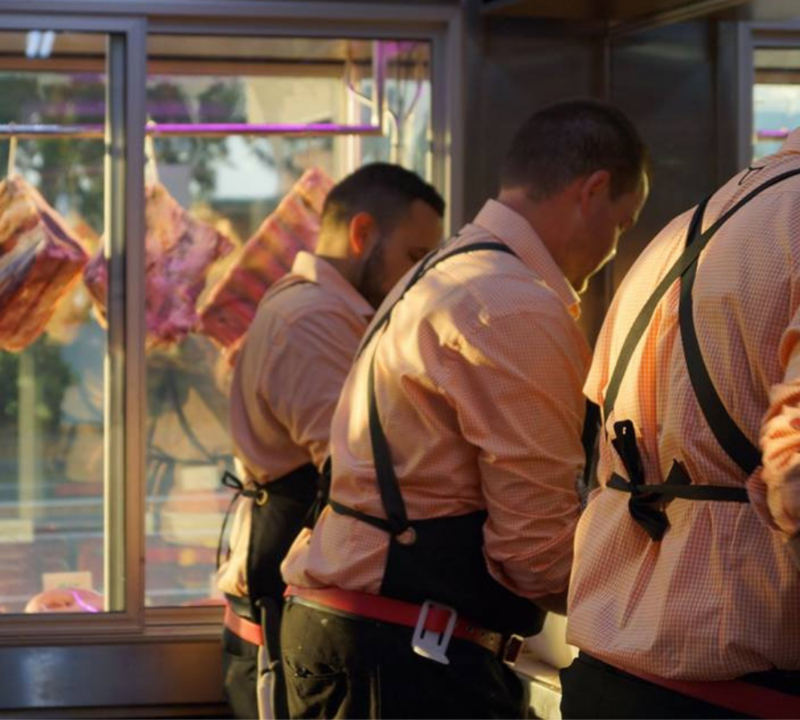 Not only do they provide quality produce; they are one of the most business savvy butchers we have ever come across. 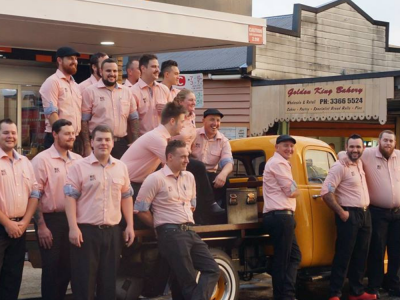 With two locations and a booming online store, they are one of the few independent butchers left in Brisbane. 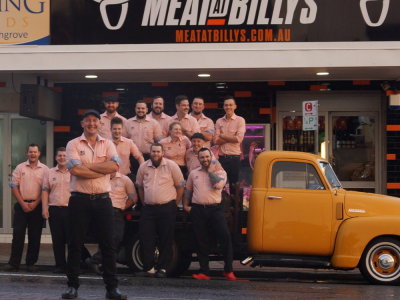 Meat at Billy’s is more than just a Brisbane butcher shop. We also have a great deli section where you can find anything from Picklehead pickles, local honey, marinades, to preserved lemons, and Australian cultured butter. 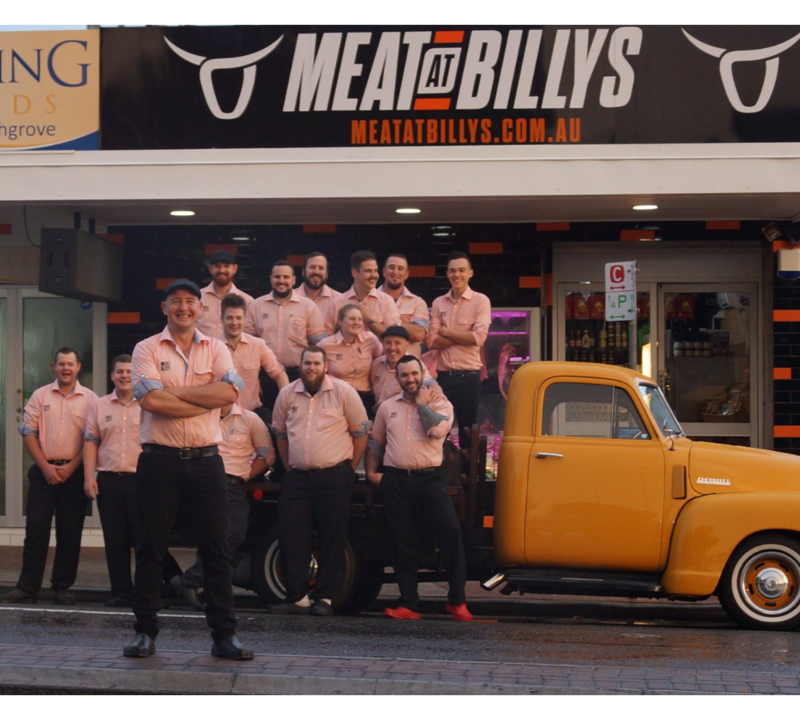 Meat at Billy’s is a boutique butcher in Brisbane that was looking to create a stand out branded uniform for their team. 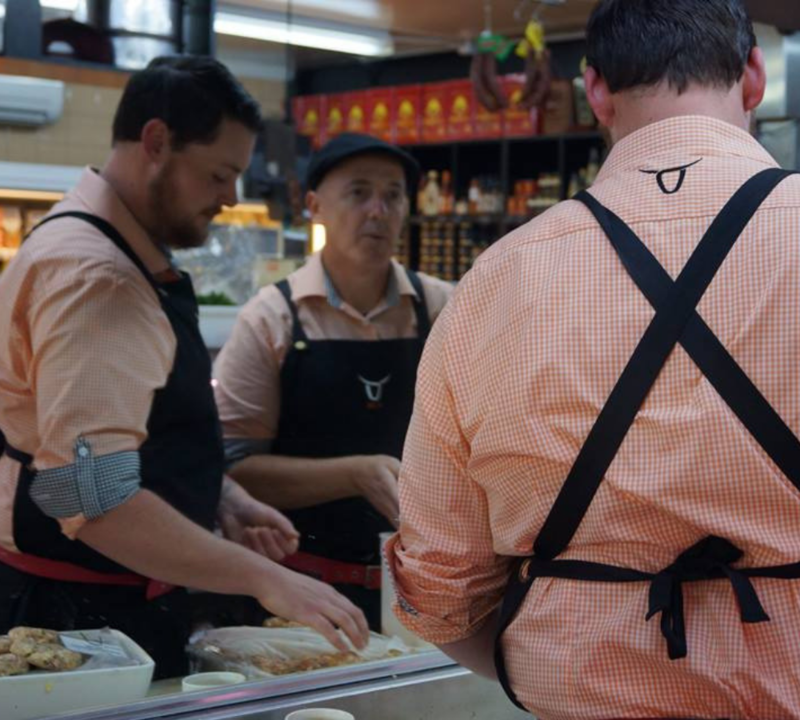 As a boutique butcher having the team well dressed was imperative. And wanting to create a point of difference was important to their overall look. 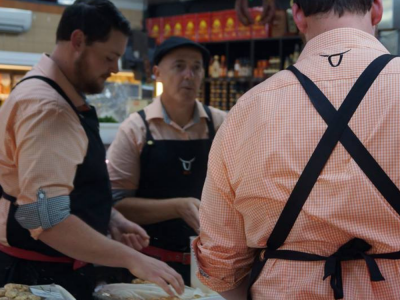 Meat at Billy’s colours are black and orange and the uniform was designed to work in synergy with the brand colours. The orange check shirt worked well with the brand and the check gave a casual yet professional look. It was designed with a black contrast check fabric inside the collar and cuffs and a roll-up tab style shirt, to create a shirt with flair. And to complete the look we custom designed a black apron with the logo and cross over black straps. 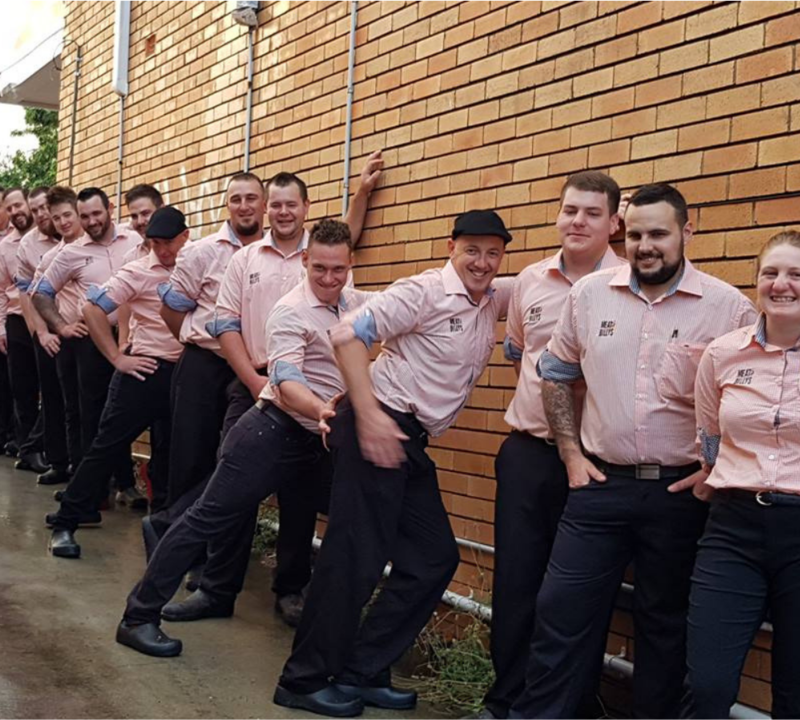 The end result – a stand out unique butcher’s uniform to match their awesome culture with a savvy team that really know how to rock and wear it! 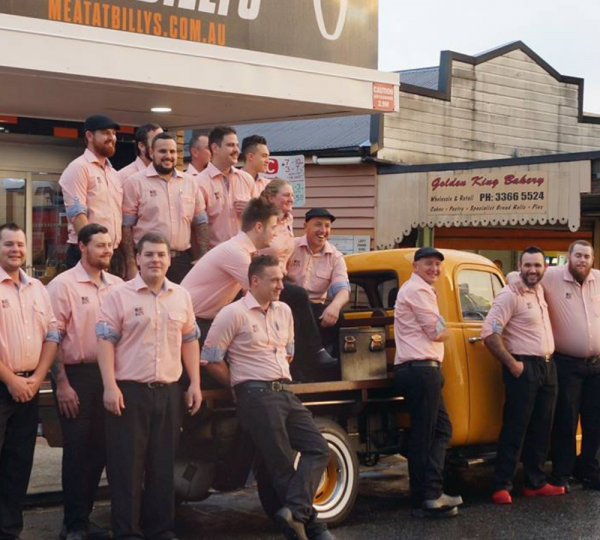 The Uniform Edit had so much fun dressing the awesome team at Meat At Billy’s. You don’t always see staff with labour heavy jobs in a collared shirt. 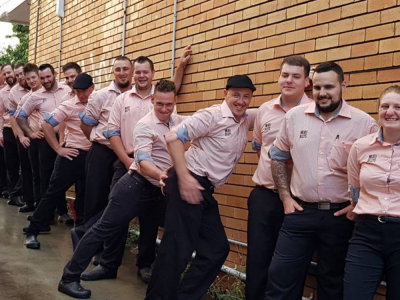 Keep rocking those rolled up sleeves boys.